Officials in Washington say Syrian government still using chemical weapons despite committing to abolish its arsenal. The Trump administration on Thursday accused Syrian President Bashar Al-Assad's government of producing and using "new kinds of weapons" to deliver deadly chemicals despite committing to abolish its chemical weapons program in 2013, reports The Associated Press. Russia has already used its veto power in the UN Security Council 10 times to block action against Assad. There were no indications that the Syria government, after seven years of civil war, had developed new, deadlier chemicals. 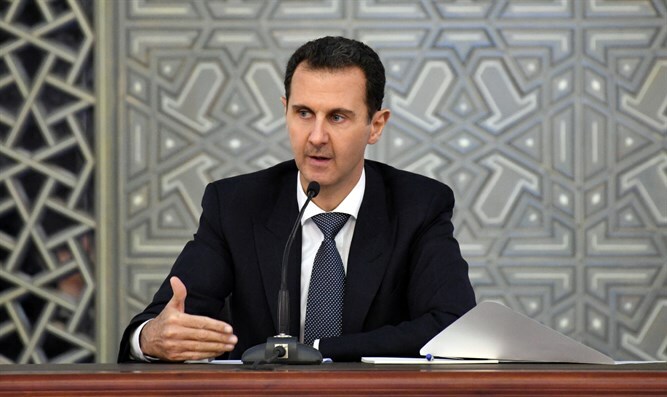 Rather, the officials said Assad's forces are using the same chemicals - chlorine and sarin - but in more sophisticated ways, potentially to evade international accountability by making the origins of attacks harder to trace. Barrel bombs used earlier in the war to disperse chemicals indiscriminately, for example, have been replaced by ground-launched munitions, the officials said, according to AP. More recent attacks have involved both chlorine, which has nonchemical uses and is easier to acquire, and the more sophisticated chemical sarin, the officials said. The officials briefed reporters on condition of anonymity. Syria and Russia have both dismissed the conclusions of the Joint Investigative Mission (JIM), an expert body set up by the OPCW, that Assad's government used chlorine gas in 2014 and 2015, and sarin in April 2017. The officials also noted that Syria's government isn't the only chemical weapons threat in the region. The Islamic State (ISIS) group continues to use them, they said, although the jihadists' arms are said to be more rudimentary. Though ISIS no longer controls large parts of Syria or Iraq, the officials said the extremist group continues to use sulfur mustard, via artillery shells, and chlorine, delivered by improvised explosive devices. The officials noted that the underlying chemicals are easy to acquire or produce, and said the U.S. does not believe ISIS has gotten a hold of military stockpiles in either Iraq or Syria. In the past, former Libyan officials claimed that ISIS and other terrorist groups had gotten hold of the chemical weapons that had remained in Libya from the regime of former dictator Muammar Qaddafi. Reports of chemical attacks have continued to stream in from Syria, noted AP, including as recently as Thursday, when rescue workers in the rebel-held Damascus suburb of Douma reported what they described as a suspected chlorine gas attack that injured a number of civilians. The opposition-run Ghouta Media Center reported in a posting on its Facebook page that three people were killed and dozens suffered shortness of breath as a result of surface-to-surface missiles, some of them carrying chlorine gas. The reports could not be independently verified and the Britain-based Syrian Observatory for Human Rights, which monitors the war in Syria via activists on the ground, was unable to confirm the reports either.